Join Slavic Village residents and stakeholders for the annual Neighborhood Summit! 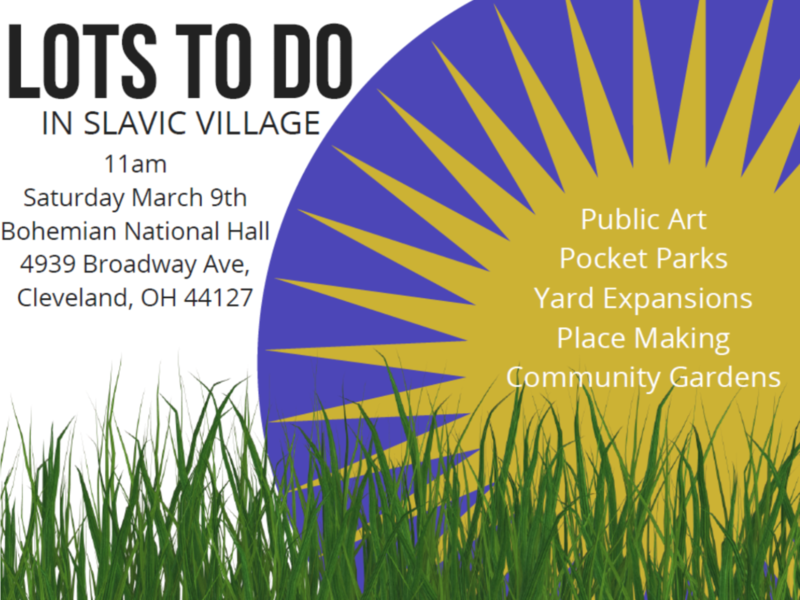 This year’s summit is “LOTS” to do in Slavic Village and we will be acknowledging folks who have helped to utilize our community’s vacant lots with great side lot expansions, pocket parks or gardens. On Saturday March 9, 2019 at Bohemian National Hall from 11am-1pm, we will be celebrating the 22nd Annual Neighborhood Summit. Never been? The Summit features networking, guest speakers, a free meal provided by R&K Sausage, and this year’s keynote speaker, David Jurca the Principal Urban Designer at Seventh Hill. This annual event represents a celebration of continuous dedication and hard work by the individuals, organizations, institutions, and businesses who are striving to preserve and develop the great character of this historic region. The mission of the summit is to empower, enrich, educate, and acknowledge the residents and business owners who go above and beyond every day to enhance our community.